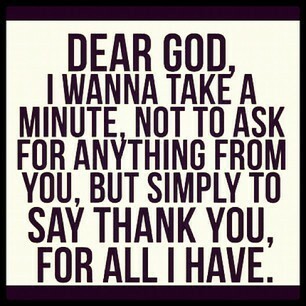 Dear God, I do want to thank you for all that I have! Wow, sitting and reflecting upon all that is in my life, I’m at a loss of words. Have you ever really stopped to think about what you have? Between family and friends, a roof over my head, food and water, electricity, running water, a computer, clothing, an education… I feel spoiled, in a sense I guess you could say I am. It’s like hearing stories about people who have next to nothing and yet happiness leads their life. Maybe the quote “less is more” is true. Many of us will sit and send prayer requests to God; don’t get me wrong, that exactly what we should do. But we should also be thanking him. And not just for the things we have. We should be thanking him for the air we breathe, the capability to love and respect one another, the ability to spread His love around the world. We should thank him for being a patient God, one who will listen to ALL we have to say whether we’re praising him or asking him to help us understand when in our moments of weakness. He is our Father, lover, best friend. He is exactly what we need. He is what we should be thankful for. God created the universe. The Earth and everything on it. He knew which colors in the sky would set our hearts on fire and knew that even the smallest things can make our hearts flutter with joy. Sometimes we need a sky full of colors to make us happy, other times all we need is a strangers smile. 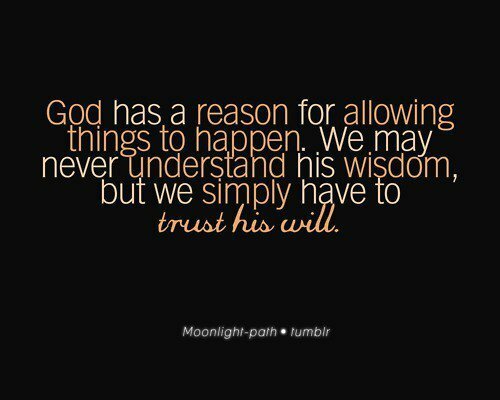 No matter how big or small, God knows what we need. 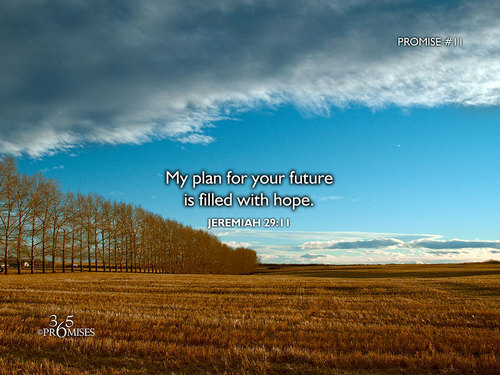 He knows when we’re feeling most alone, it’s then that we should listen closely to what he may have to say. Thank you for all that I have, and all that you have in store for me. Please forgive the world, I know that we do not thank you nearly as much as we should. Often we take things for granted and lust over things that we do not need. I pray for those who do not have things as easily as I do; for those who face suffering daily, may they find peace and comfort in you for you are a just God. Psalm 91 – He loves and protects us always.